The godfather of disruption. Hericlitus. [br]As Heraclitus suggested; The only constant is change itself. That’s what this is all about: Dealing with change. Disruption? For the last 20+ years I’ve worked with many brands and boards to solve a most difficult problem; staying relevant in a landscape which is transforming faster than they are able to. Sometimes being innovative isn’t enough and a step-change is required to solve a problem. 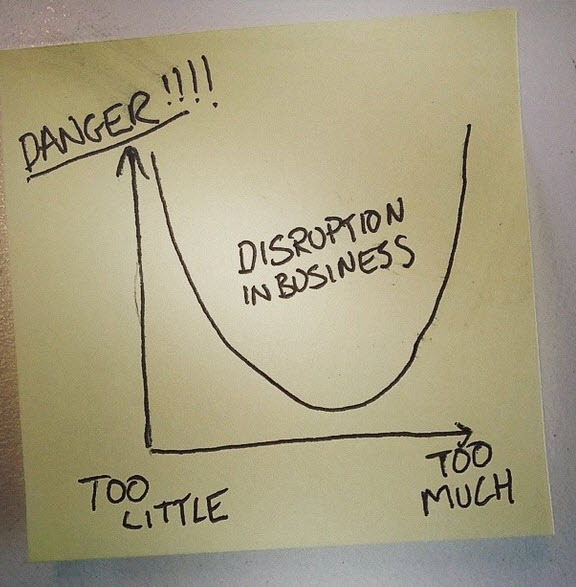 That’s where disruption can work. These days I am working with some clever people to bring some interesting ideas to market (we have a few start-ups yet to be announced). Why? We are all Hard Wired. Changing is tough. The reality for most of us is that we all become more and more hard wired in our thinking as we age. Nature makes it difficult to let go of important things we’ve been taught or learned in the past. Our brains function around recognising patterns and working within them. But when the landscape around us changes rapidly and is replaced by something new and unfamiliar most people experience a sense of anxiousness – but that’s just the first part of the issue. In society and the workplace we’re not supposed to be disruptive, we’re supposed to get in line and play the game. After all you’ll probably get fired by doing something new (and it fails), but nobody ever got fired for doing the job they were told to do (right?). So both nature and fear contrive to make it hard to break old habits, to disrupt. There is probably a role for a ‘constructive troublemaker’ in most organisations although few have recognised this formally yet. Those who might have ‘innovation’ in their title or job description can still fall into the old traps so it’s sometimes easier for an outsider(s) to come in. Labs, Think-Tanks and hackathons are best brewed with external ingredients. Disruption is not about breaking things, it is about positive change, helping unlock complex problems and implementing solutions with ideas using bleeding edge tech. Sometimes trees need shaking, because sometimes those five monkeys are in the room (watch the video if you haven’t heard the story). There are many scenarios where organisations seem to be held back: Sometimes cultural behaviours (five monkeys) are an issue. Sometimes people are stuck and do not know where to begin. Sometimes people already have the ideas, but maybe lack the confidence or know how to take it to the next step. Sometimes people lack connections to bring ideas to life. Sometimes an organisation has a ‘blocker’ – a person who through ignorance or arrogance refuses to let innovation happen around them. Sometimes there are teams that have difficulty managing upwards. I co-founded digital agency Razorfish Sydney (prev. Amnesia) which was bought out by AQuantive, Microsoft and then subsequently Publicis (one of the worlds largest Ad Agencies). I’ve worked with many brands like Disney, Samsung, IKEA, Xbox, Unilever, GM, Qantas, Microsoft, Pepsi and over 16 years we produced thousands of projects. I designed Disney’s first global website over ten years ago and that template structure is still being used widely today. We created the worlds first mobile enabled screensaver (1999) using SMS. We built the first fully enabled Internet smarthome for Cisco in 2001 – a very early version of the Internet of Things. We were one of the first to imagine a solution for how multiple screens could worked together (see the video below). I was the first creative to run a ‘branded content’ campaign on sails of the Sydney Opera House with Razorfish for Samsung. It was my job to imagine ideas like these on a daily basis. 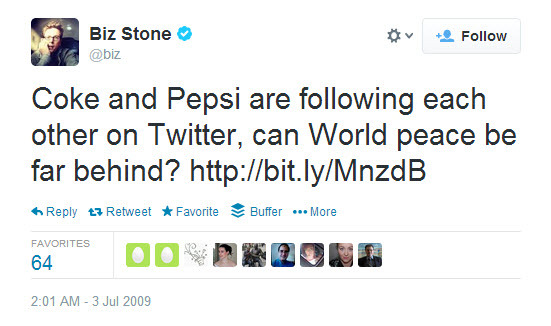 With disruption it’s not just big projects… One of my favourite events was when I used Twitter to persuade Coke and Pepsi to talk to each other as brands for the first time. It made a lot of news – thousands of blogs, the Jimmy Fallon TV show in the US. Even the founder of Twitter got in on the action and proclaimed it one of his favourite tweets. The social team at Coke tweeted me privately later to tell me that globally this single tweet had changed attitudes towards social media and twitter throughout the company. I use this example because anyone could have done this. I didn’t need any connections, money or fame to succeed. In the world of disruption, small actions can be as important as something that has been carefully planned for years. Brands with big budgets should be more capable of effective disruption than an individual, but that is often not the case. The bigger a brand gets, the less nimble it becomes. This should not be the case. – Innovation. An overused word. An under deployed reality. – Technology. Quite simply, everything now and anything coming. – Research. Ideas are worthless without grounding. – Creativity. It can solve any problem. – Mentoring. When we take steps forwards, it’s easier to do it with others. – Political Navigation. All problems are complex, but none insurmountable. – Strategy. If you don’t have one, then start here. – Ideas. The currency of innovation. – Thought leadership. Confidence not arrogance, mavericks not primadonnas. – Patience. Rome wasn’t built in a day, but it did get built. – Labs. Bring the smart people in when you need. Run a hackathon. – Agile. Think and behave like a startup. I’m also on linkedin etc.